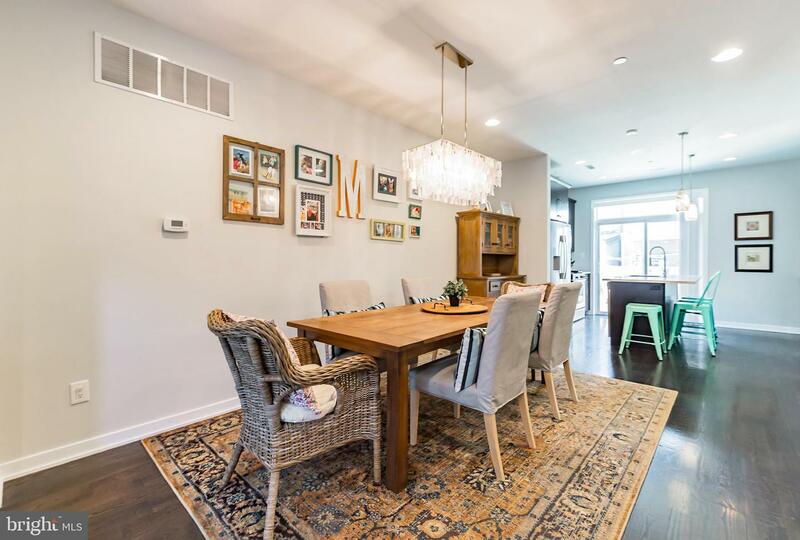 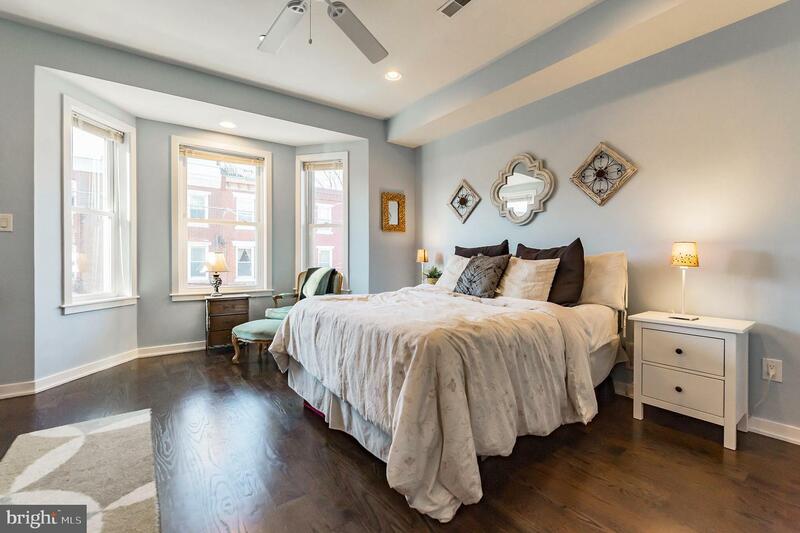 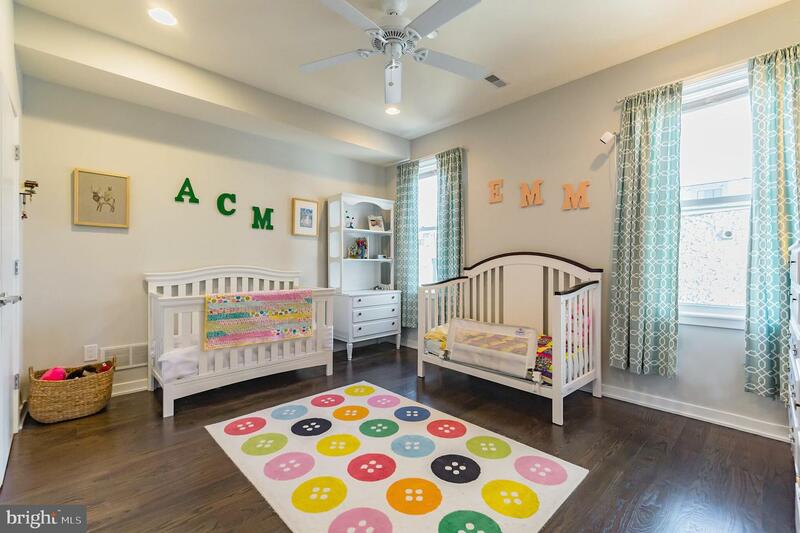 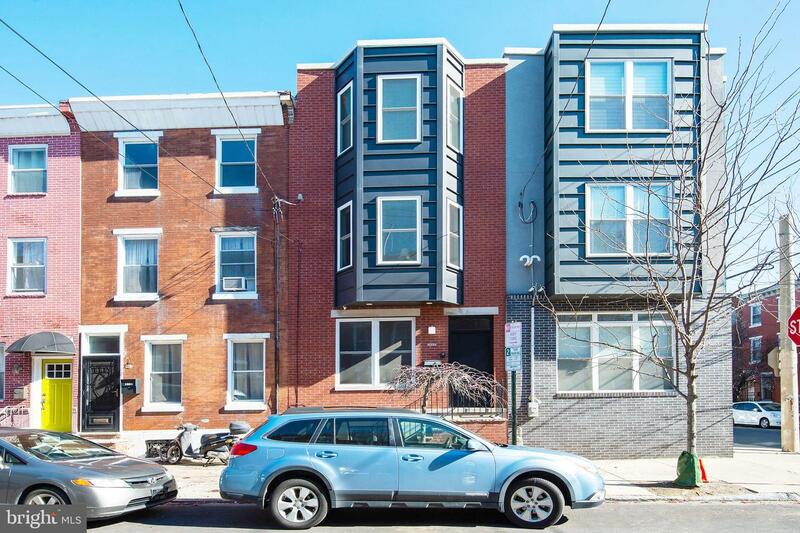 Perfectly balancing modern conveniences and comfort on a tree-lined street in the highly sought East Passyunk neighborhood is 1203 Ellsworth Street. 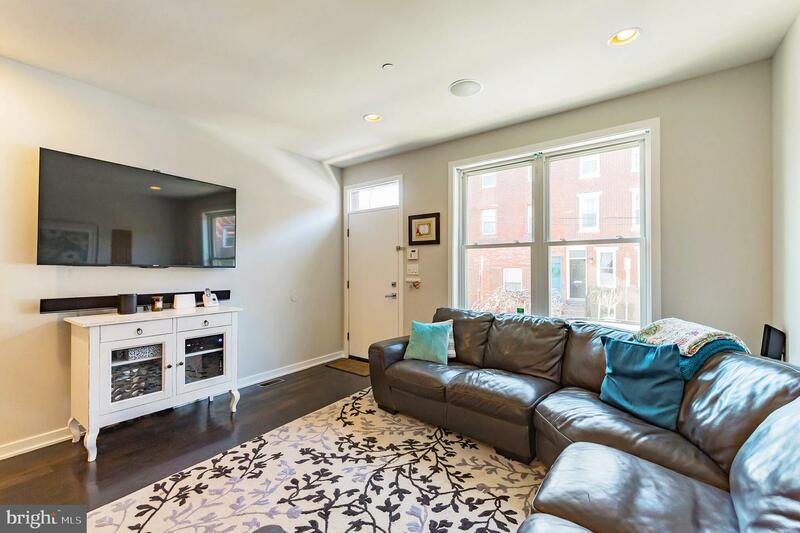 Head up the front steps and into the open, spacious 16 foot wide first floor with gorgeous hardwood floors. 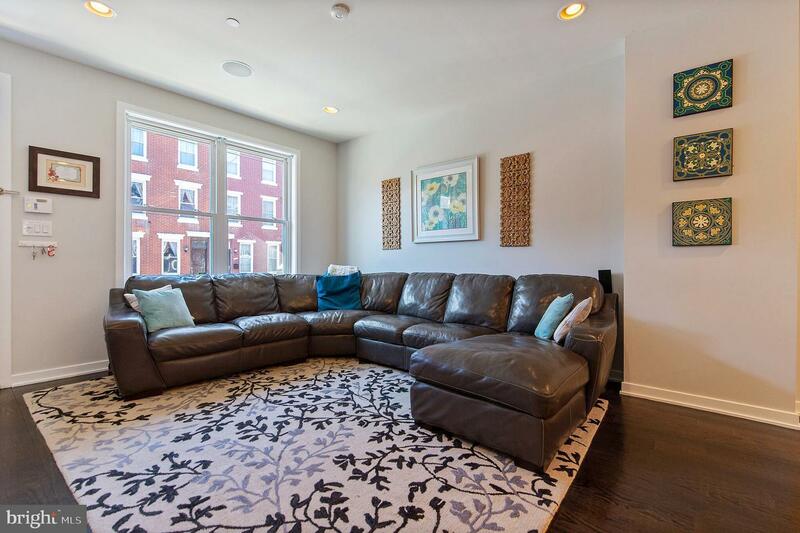 The living room is light and airy with a large front window, tall ceilings, and recessed lighting. 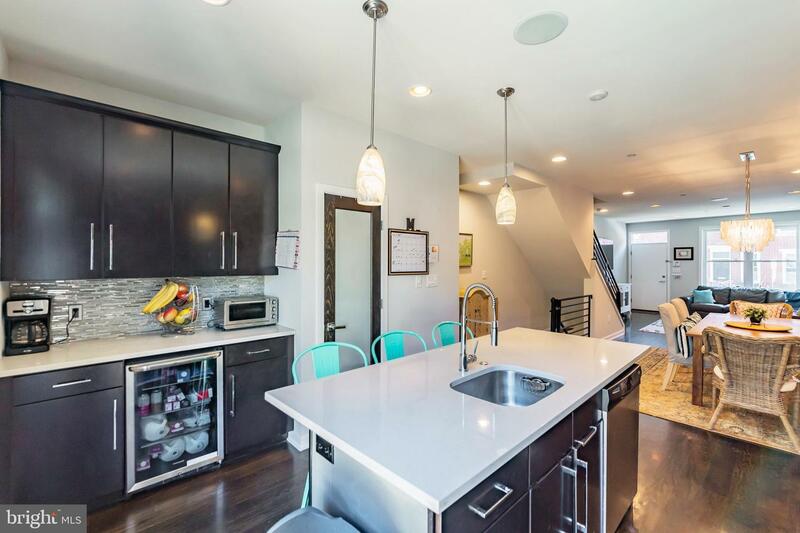 Continue on through the large dining area and into the sparkling kitchen. 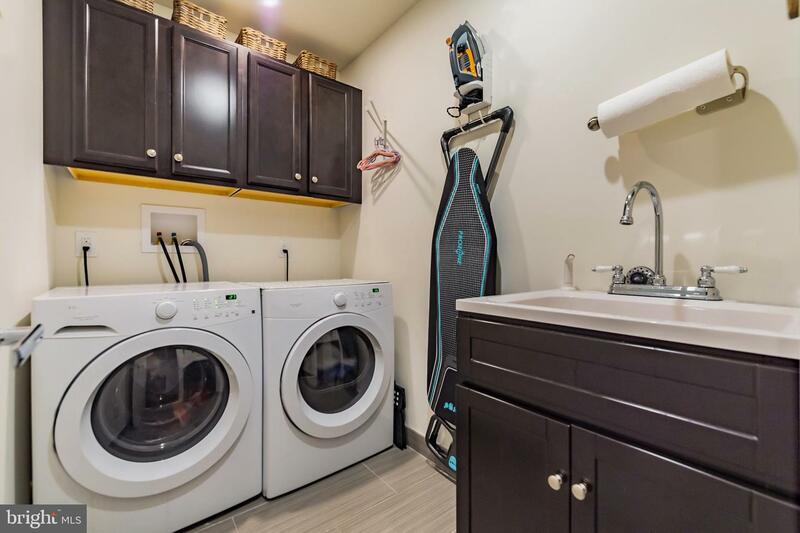 This kitchen is not short of amenities. 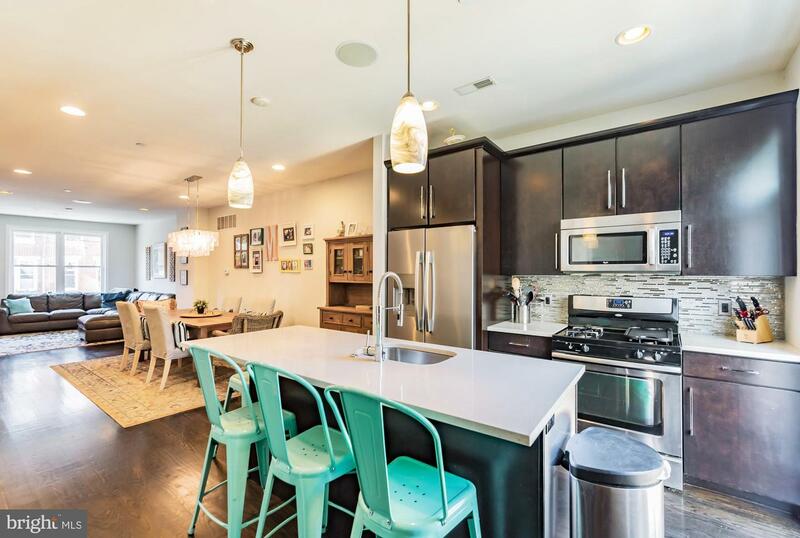 The quartz countertops gleam in the natural light pouring in from the sliding glass door and transom window overlooking the large and private rear patio. 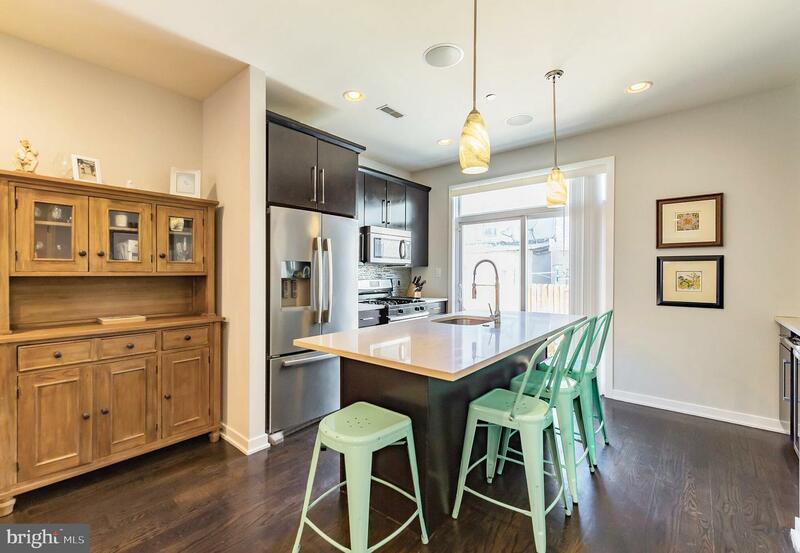 This kitchen offers a large center island with bar seating, deep sink, and cabinets, built-in stainless steel appliances, and a separate prep counter with more storage and a wine fridge. 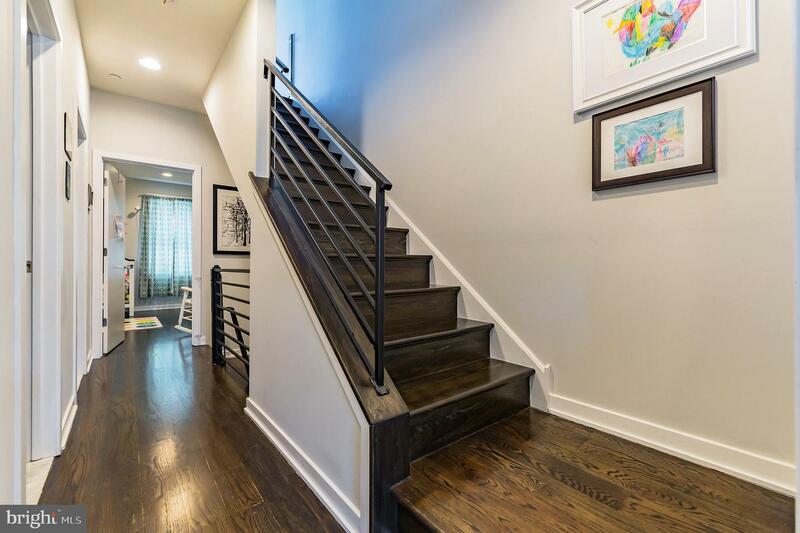 Up the stairs to the second floor you~ll find a large front bedroom with a bay window and a large closet, a spacious full bathroom with linen closet, a full laundry room with utility sink and cabinet storage, and finally a large bedroom in the rear. 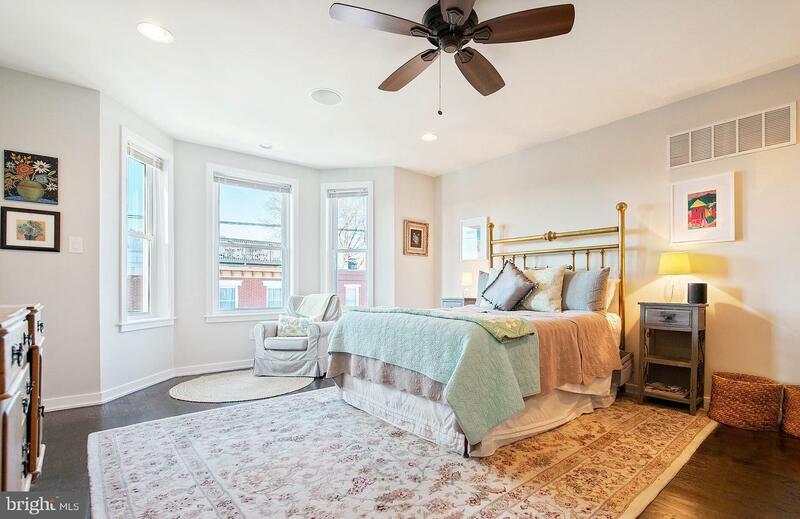 The entire third floor is home to the master suite which is open with a bay window letting in lots of daylight. 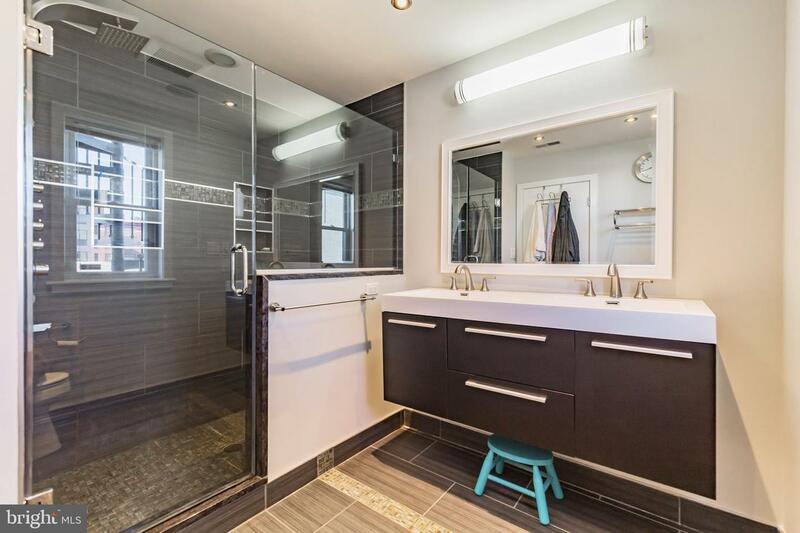 The master bath offers a floating double vanity and a large steam shower with rainfall showerhead. 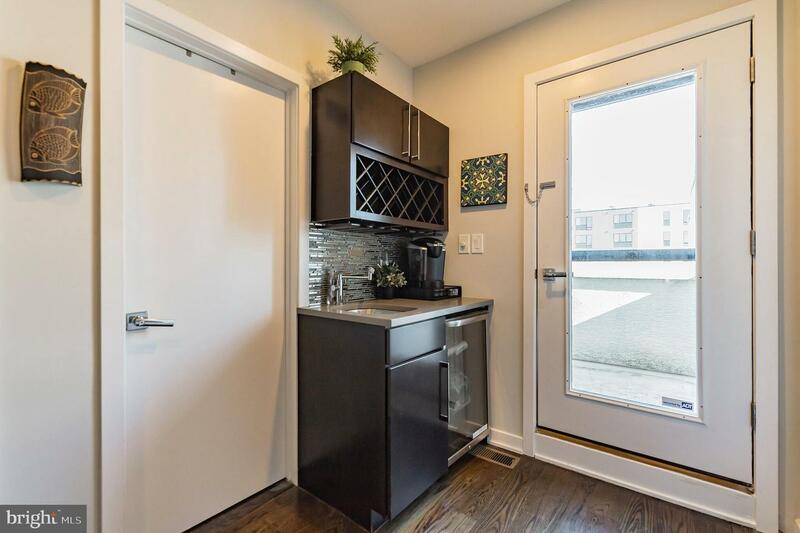 As you head out the glass door to see the views, you~ll be greeted by a wet bar with wine storage and a wine fridge. 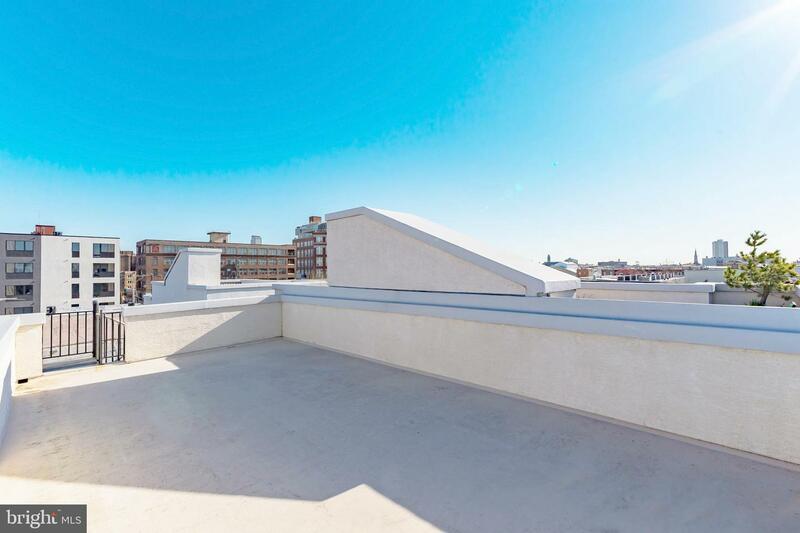 You~ll spend all your warm summer nights on this roof deck. 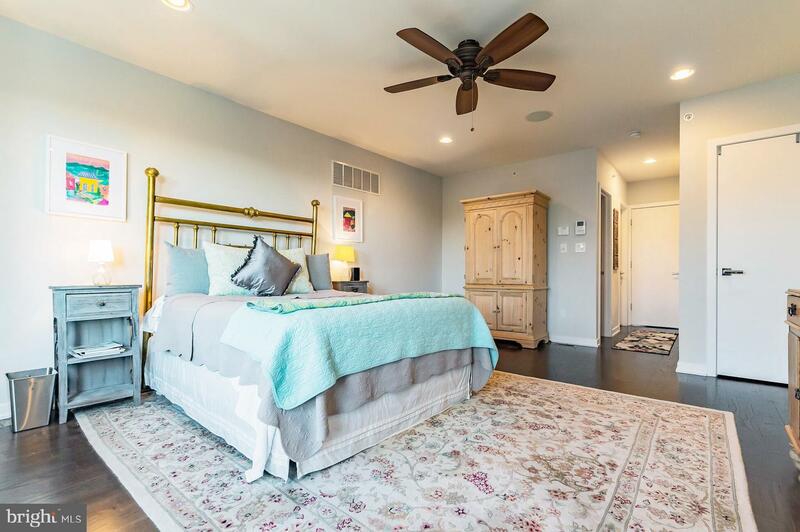 It~s huge and has sweeping city skyline 360 degree views! 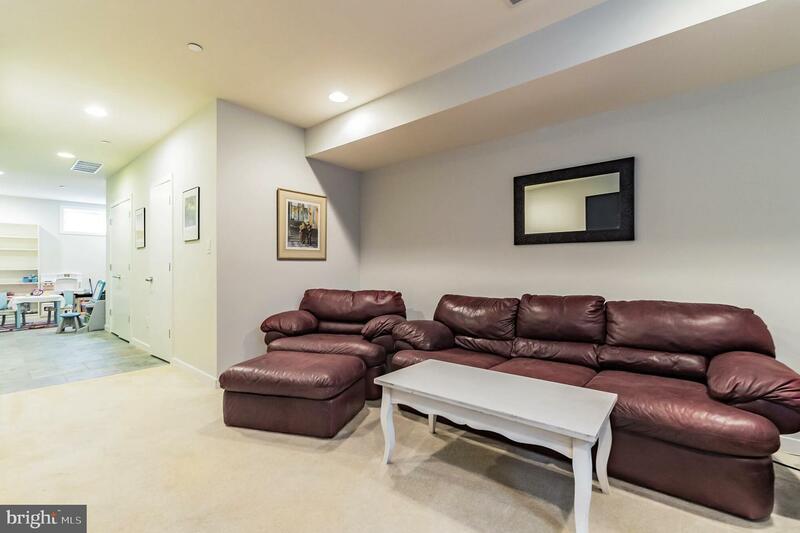 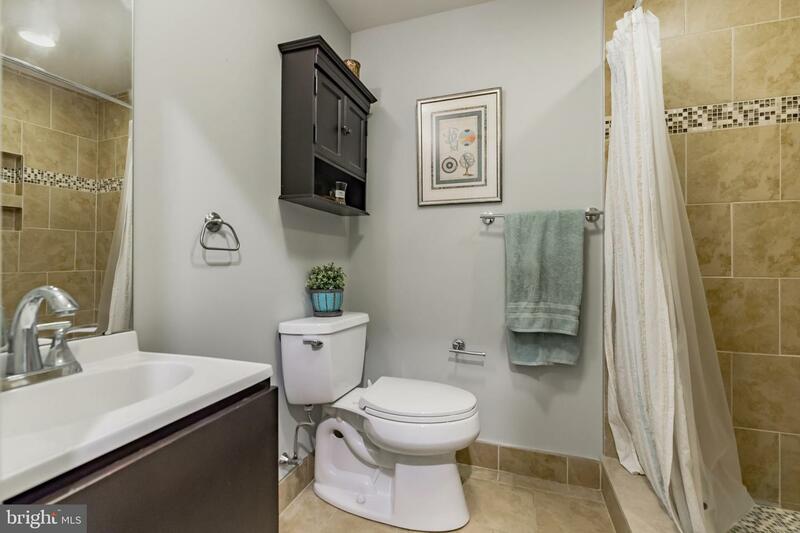 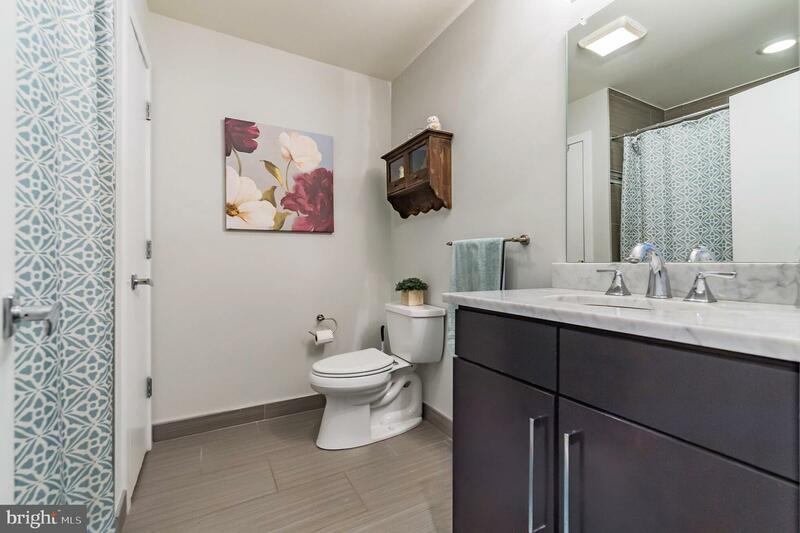 More living space can be enjoyed in the fully finished basement which includes a full bathroom. 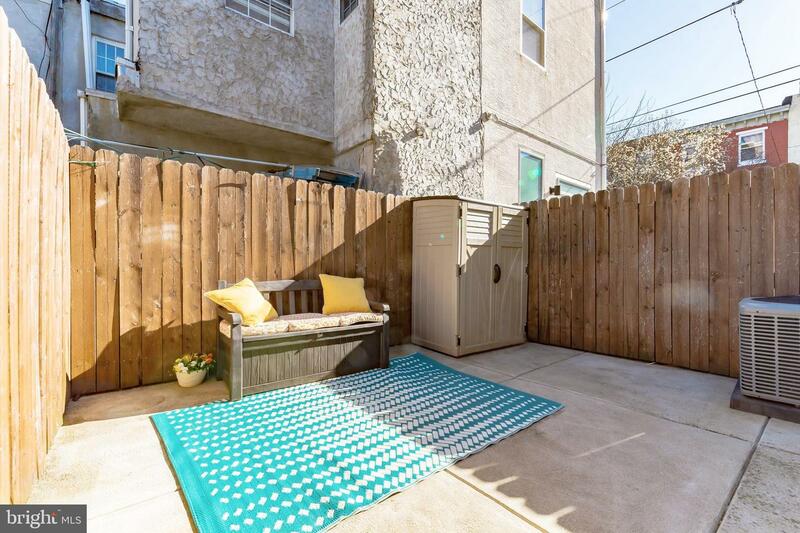 The location of this home cannot be beat! 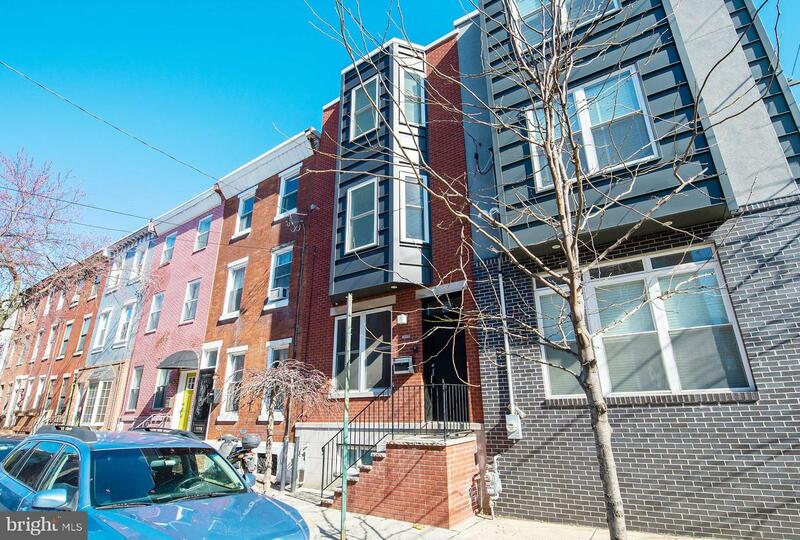 It~s close to all the shops and restaurants on Passyunk Avenue, adjacent to the Italian market, two blocks from the Broad Street Line subway station, Washington Ave, Columbus Square park with playground and dog park, ACME market, and so much more! 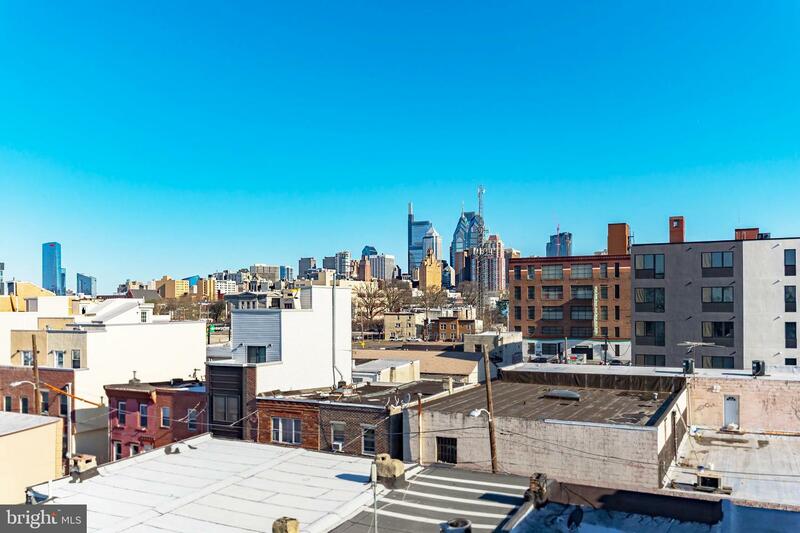 Three more years remaining on the tax abatement.